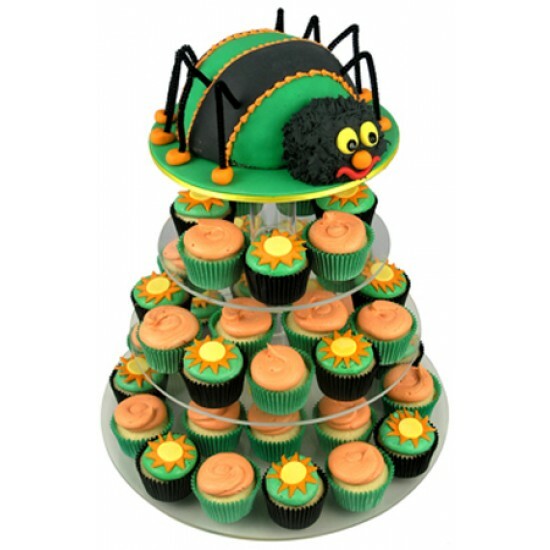 This impressive Spider birthday cupcake cake includes a spider shaped main cake with 40 cupcakes decorated with orange and green boston cream icing with a sun on top. 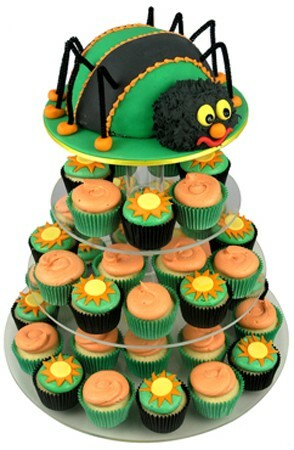 This impressive cupcake tower comes complete with a spider shaped main cake, iced in green and black and complete with legs. 40 cupcakes (available in Vanilla & Chocolate) are alternatively decorated with a light orange and green boston cream icing with a sun on top.